HGTV Canada’s television-series Reno, Set, Go! is one of our favorite shows! Each episode is a race against time where friends and family alike unite to execute a surprise makeover for a deserving loved one. Celebrity designer Cheryle Torrenueva and contractor Roger Morin are the show’s hosts, and work tirelessly to ensure no detail of the renovation is overlooked! Join us, as we embark on a journey to recount this memorable episode! In this episode, we got to know a little bit about Sarah and her husband JV. And after five minutes into the episode, it was very clear this family was well-deserving of a newly updated space. Sarah explained her husband as a selfless man who’s not only the perfect husband and father to their two toddlers but also a phenomenal community member. JV is a full-time firefighter but finds time to work at the mental health hospital, teaches CPR, and is a night driver. Despite having work days that can reach a staggering 24 hours, JV still makes time for his family. As Sarah and JV’s toddlers take up more space, the living area had become a precarious hazard, and JV was constantly on the look out for his family’s safety. In fact, not long ago, one of JV and Sarah’s toddler stumbled and fell over some toys that resulted in a broken collarbone. 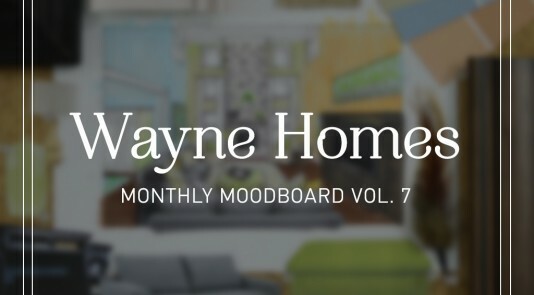 Sarah wants to show JV her appreciation by having the unorthodox and dysfunctional living space transformed into a safe, family-friendly area where they can unwind and decompress together. Now, leave it to the Reno, Set, Go! team to divide and conquer on this transformation. The results are jaw-dropping! The cluttered and unsafe living area was given a brand new look with bold colors and tantalizing textures! We’re simply in awe with how the living room turned out! Cheryl used her expertise to redesign the area’s layout, making it more open. 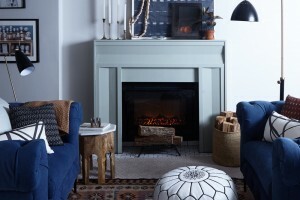 We’re also excited that the design team incorporated crown moulding from our Pretty Simple Collection in this makeover. The crown moulding’s symmetrical and charming aesthetic not only add visual interest to the space but also creates a deceptive heightened effect and thus, elevating the living room’s new spacious layout. We also adore how the custom bench has extra storage space, and we’re falling for its bright vibrant yellow paint. Imagine walking into your entryway and being greeted by this radiating hue, it’d be sure to uplift anyone’s spirit! Not to mention, the scenic wall-sized mural is a marvelous addition to this transformation! 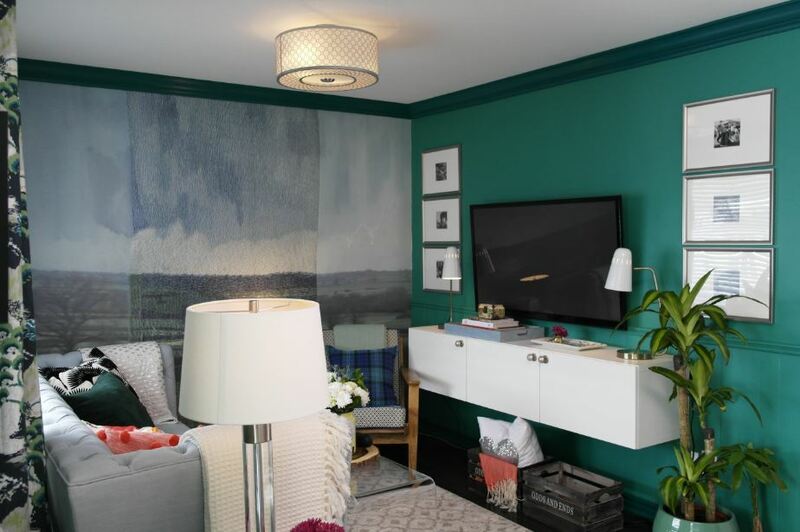 The mural perfectly pairs with the bold green paint in the living room, bringing an outdoorsy element to this space. Now, especially after a long day’s work, JV and Sarah, along with their two toddlers, finally have a family-friendly space to be together! We know we enjoyed watching this episode, and we don’t think you should just read it from us either! 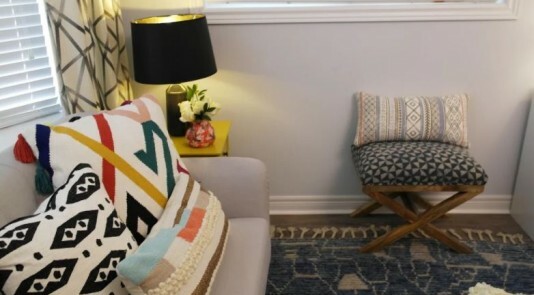 So, head over to HGTV Canada to see JV’s reaction to this unsuspected makeover! Let us know what your thoughts are on the show down below or through Twitter! Meanwhile, if you’ve enjoyed the memorable moments in this episode then be sure to check out our other ones!